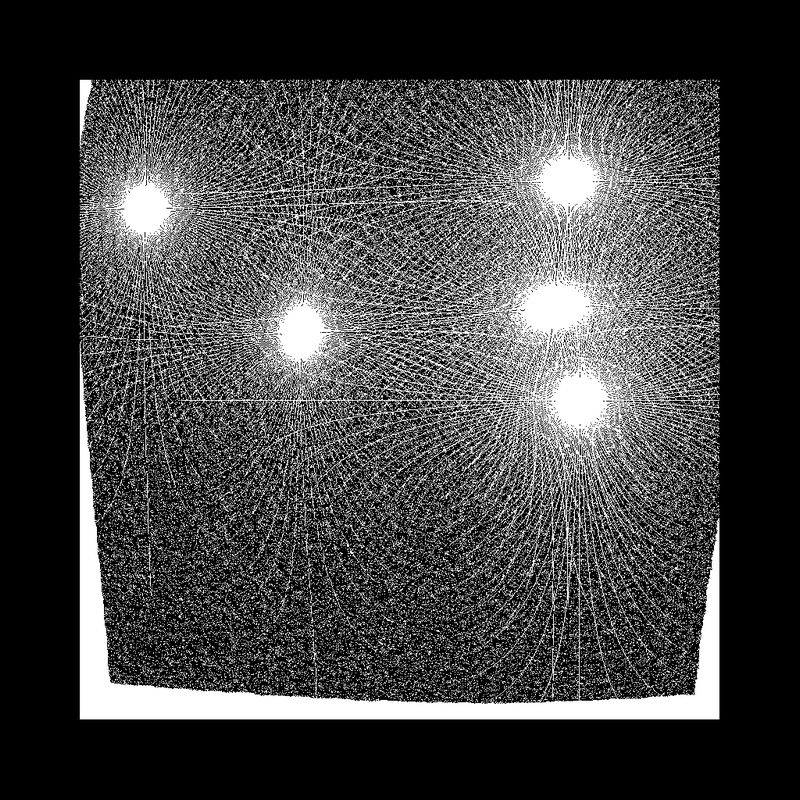 Attractors form the main backbone for this piece of work. 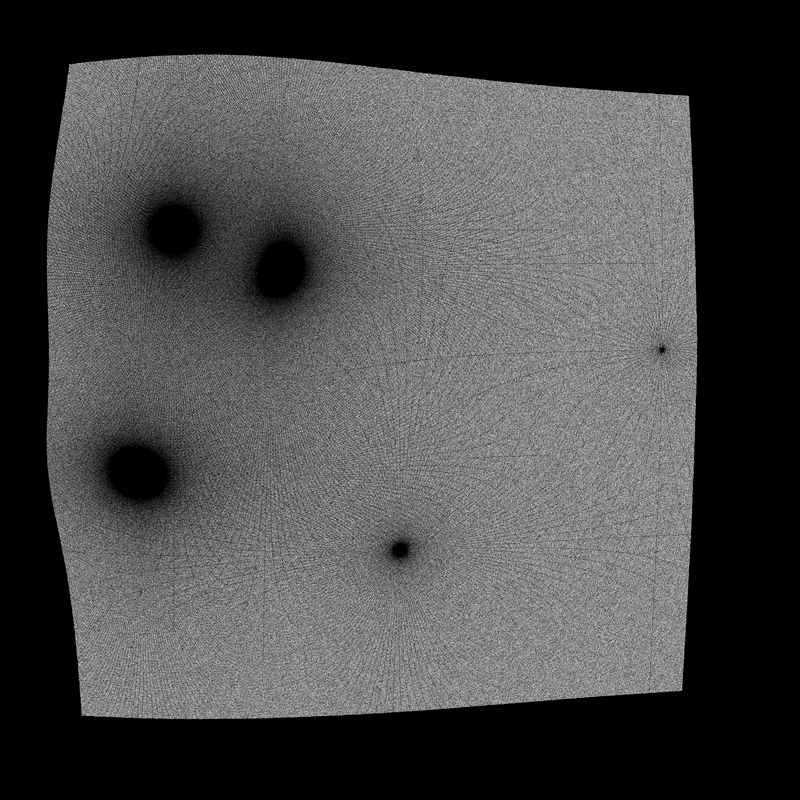 Up to 10 invisible points are chosen at random and allocated the role of an attractor, this is a point which affects all visible points on the screen but pushing or pulling. 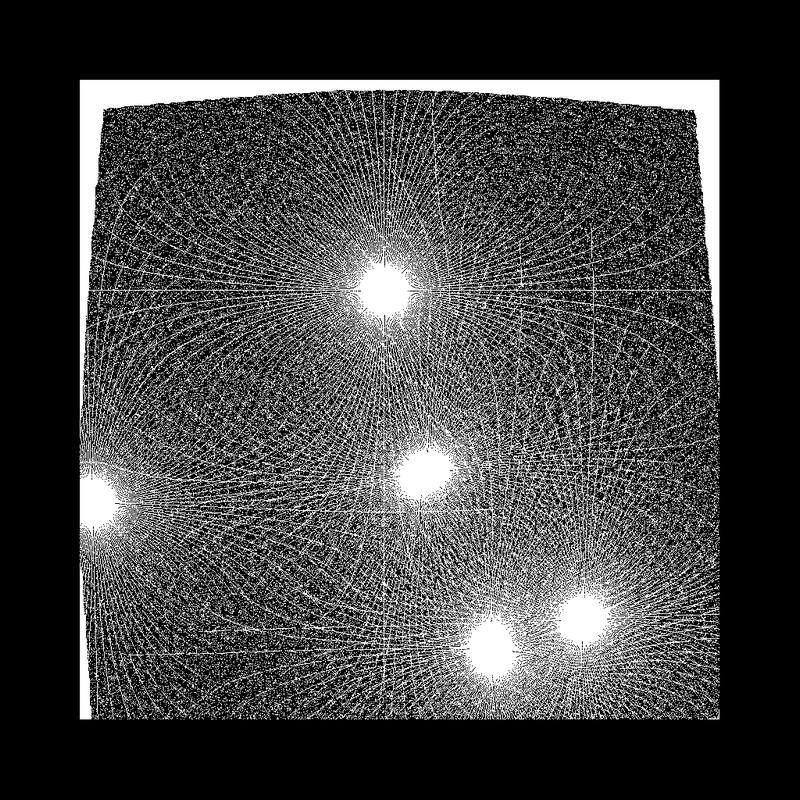 For these works, the euclidean distance is calculated between a visible point and an attractor, this is used to determine how much the point should be translated. 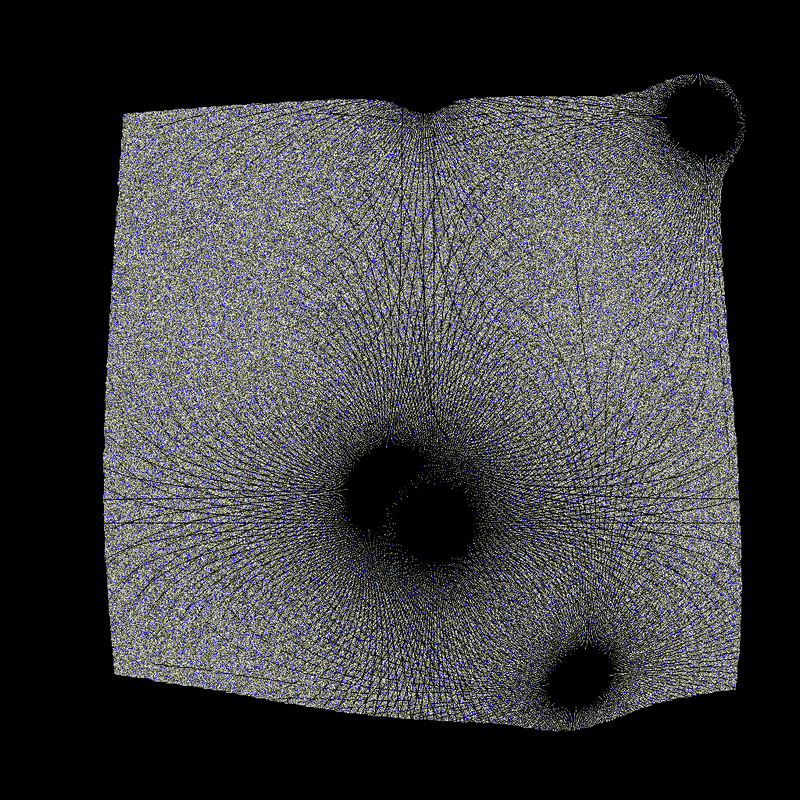 Each attractor has a number of randomly assigned parameters that ensure the 'force' is unique. 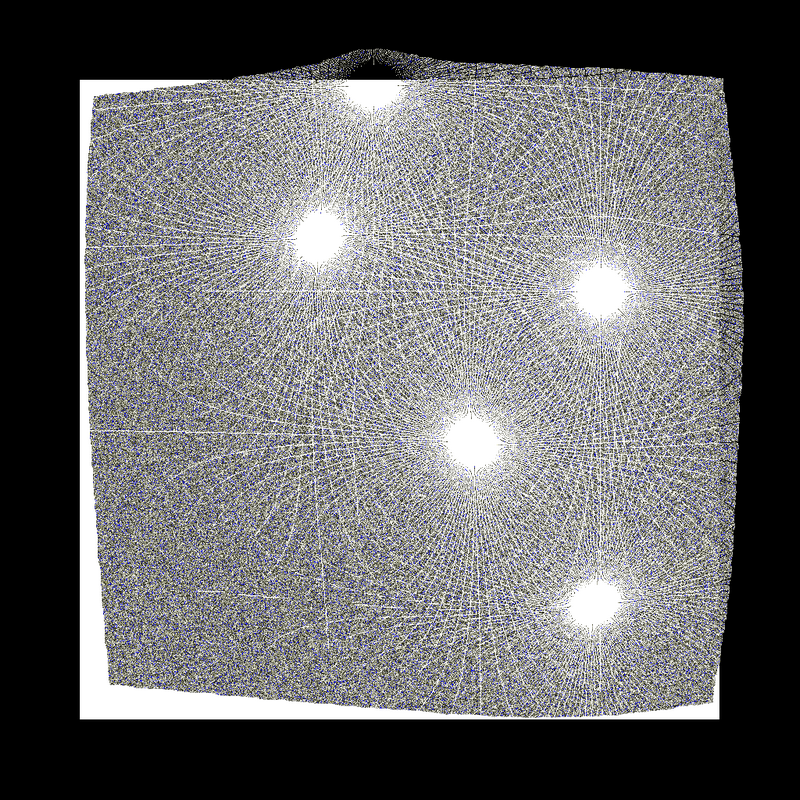 This calculated translation is averaged across all attractors for each visible point which provides its final resting place. 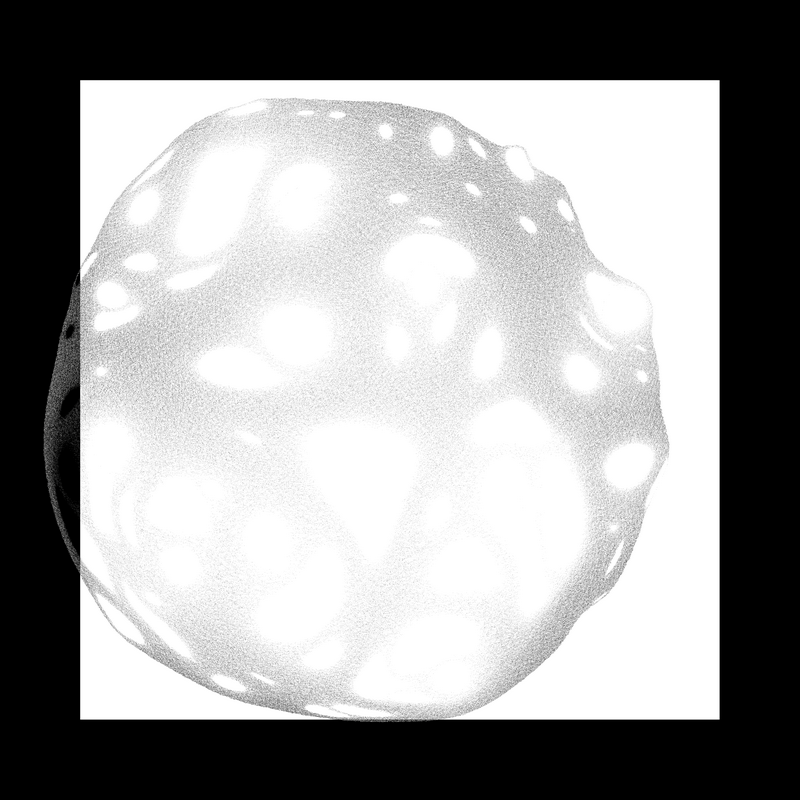 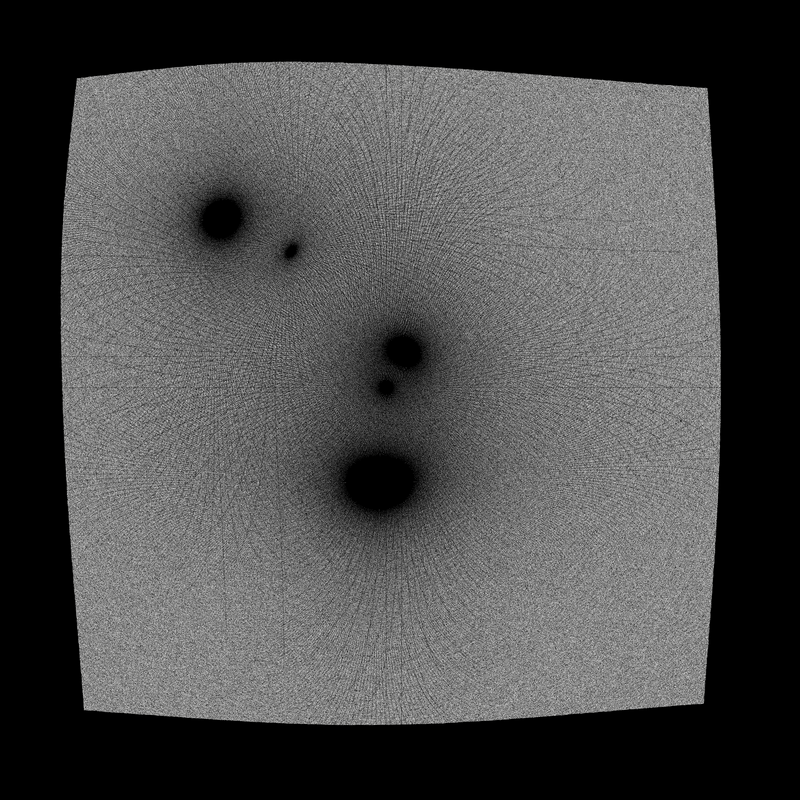 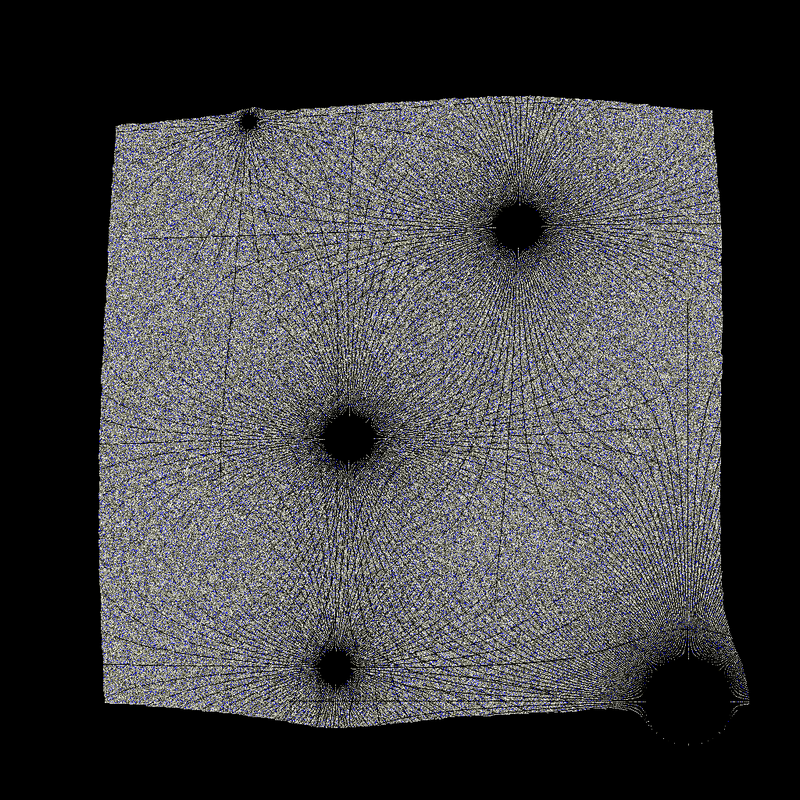 The resulting render looks like a map of black holes with tell-tale mathematical curves.